Welcome to the Business Member Directory. Below you will find all of the CASTA Business Members who are participating in the Directory with a link to their websites and a brief description of the work they do. Many thanks to all the participating Business Members. If you would like to participate in the Business Member Directory and increase your reach with the Colorado Transit industry, please visit our Business Member Packages Page and consider becoming a CASTA Business Member. If you have any questions or would like to participate please email Joseph Parks | josephp@coloradotransit.com. BusStuf, Inc. is a private firm specializing in marketing products to the transit and coach bus industries. The BusStuf team has been providing sales and product support to the transit industry since 1987. Davey Coach Sales, one of the leading dealers of new and used mid-sized buses and shuttles in North America, was established in July of 1992. Davey Coach is consistently awarded Top Distributor honors by our customers and manufacturers alike for 20 years and beyond thanks to its staff of certified professionals and customer philosophy. Our successes in coach bus sales, leasing, and service has driven our company’s growth for decades. Davey Coach Sales is more than an ordinary bus company offering national bus sales. Davey Coach is a Global sales organization focusing on a national level in north America, and beyond. As the leader in the Specialized Transportation Vehicle Industry we adhered to a basic philosophy of treating our customers in the same fashion, as we individually, want to be treated. Our emphasis on quality, and customer satisfaction continues to stimulate our growth. Join us as we continue our journey. GILLIG is the leading manufacturer of heavy-duty transit buses in the United States. From initial design through final assembly, each GILLIG bus is designed and built by dedicated Americans in Livermore, California. GILLIG buses are known for their unmatched quality, and have earned their reputation as the lowest cost buses to maintain and operate. After 128 years, GILLIG holds strong to its family values and focus on its employees and customers. Our motivated and dedicated employees have a passion for quality and customer satisfaction. We are committed to building buses that connect communities, eliminate congestion, and contribute to a greener environment. Our Company pride is exemplified by the thoughtful design and quality craftsmanship present in every GILLIG bus. GILLIG’s steadfast focus on quality and unwavering commitment to exceptional customer service sets us apart from our competition. GILLIG has been a family-owned American business for 128 years with a long history of creating well-paying, dependable American jobs. Hanover Displays Limited was formed in 1985 in south east England as a privately owned, independent designer and manufacturer of passenger information equipment for the public transport industry. The initial template for the company was to institute a commitment to high quality products reinforced by exemplary customer service: this still holds true today. In the intervening thirty years, Hanover has grown into a global business, establishing subsidiaries in continental Europe, the Middle East, North America and Australia and partnering agents in other overseas territories throughout the world. Growth has been achieved and sustained by reinvesting profits in high technology manufacturing and test equipment, controlling the entire business process from product design to after sales service and ensuring the company and its employees remain aware of and close to the needs of existing and future customers, thus offering transport authorities, fleet operators, and vehicle manufacturers a complete service. The company’s product range has evolved to encompass the latest innovations in led display technology – both monochrome and multi-colour, audio-visual passenger information, automatic vehicle positioning, geolocalisation and fleet management. Now, with two fully equipped production facilities, in the United Kingdom and the United States, Hanover manufactures over 45,000 units per annum across the product range, shipping to customers in over 75 countries throughout the world. Communities are growing and evolving, and with that, our transportation needs are changing. Now more than ever, we need smart solutions that provide safer, more reliable and cleaner transit. Every day, Proterra works to meet those needs, with the world’s best-performing zero-emission buses. Our revolutionary battery-electric buses help fleet operators abandon fossil fuels, improve environmental quality and reduce operating costs. Proterra vehicles have proven themselves over more than 6 million miles of service in communities across North America, operating at a lower overall cost than any 35- or 40-foot diesel, hybrid or CNG transit vehicle. A revolution is taking place. Proterra is taking transit on a new route. You work hard to take your business as far as it can go. And we work hard to take it beyond. MCI responds to your needs. We’ve gone over our coaches to make sure that they’re better than ever, boosted our parts availability, strengthened our warranties and examined all of the ways we can go the extra mile to serve you better. 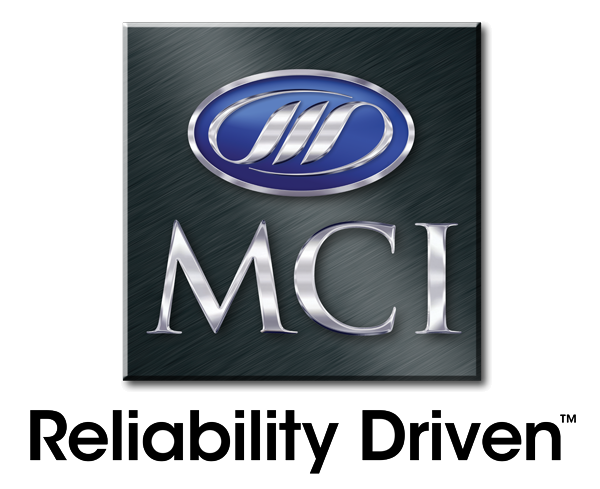 And that means there’s never been a better time to choose MCI. We don’t just make more coaches than anyone else on the market. We build in more quality, from the sturdy steel frame to the finishing details. We offer the industry’s largest inventory of MCI and other parts, with convenient online ordering. When we design a coach, we put ourselves in our passengers’ position. Sometimes literally.